Although manual transmissions are less common than in the past there are many benefits to teaching your adolescent to drive a vehicle with a manual transmission. Manual transmission vehicles sell for less new. They have an even lower resale value meaning if you are in the market for a vehicle you can buy good transportation at a more reasonable cost. Most of my children have used their ability to drive a manual transmission vehicle to produce income while in high school, college and even at times in their careers. 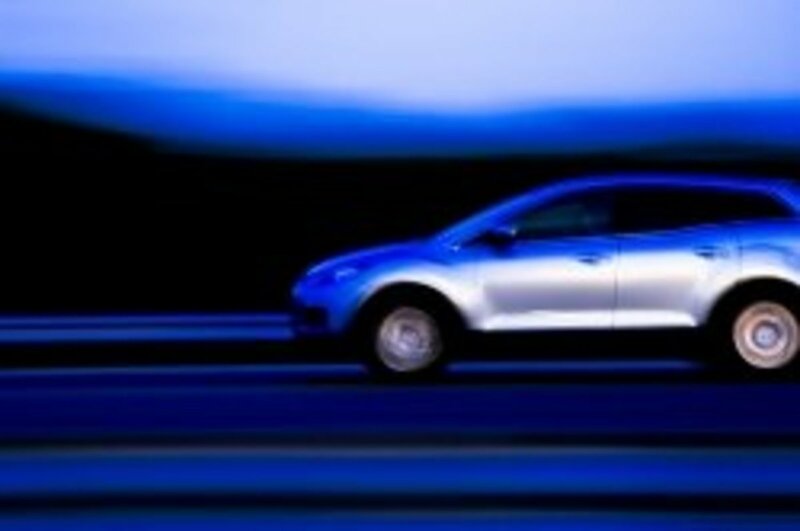 Manual transmission vehicles are more fuel efficient. A manual transmission if driven properly is usually more robust than an automatic leading to lower maintenance costs. When an adolescent learns to drive a manual transmission they are forced to think ahead in traffic leading to better driving records. All of these actions save money as well as being more green or environmentally friendly. With the price of gas today we could all use a break at the pump. Which pedal does what ? To teach an adolescent to drive a manual transmission vehicles I really prefer one with a parking brake handle in between the passenger seat and the driver seat. This can be a car and a life saver when teaching someone to drive a vehicle with a manual transmission or any car for that matter. Yes I have pulled the lever while teaching a kid to drive! My first choice would be a Chevy Cavalier but almost any car would be fine as long as the vehicle is equipped with a parking brake handle between the driver and passenger seats. First show your student which pedal does what and how the shifter operates. Take them for a ride. 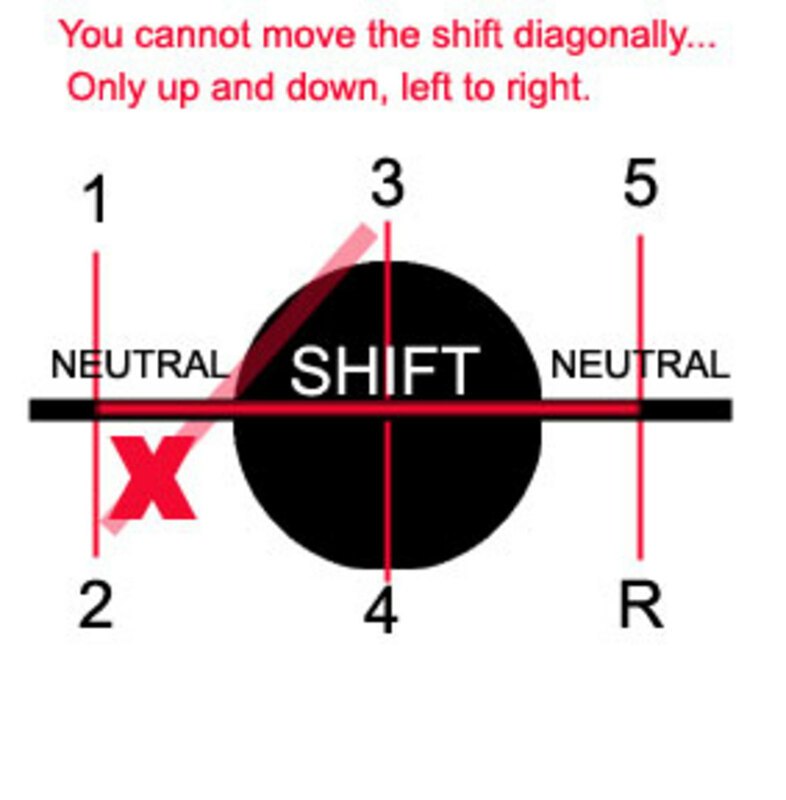 Explain what you are doing and why you are doing it with each motion of the pedals and shifter. You will want to talk about this often while driving during the instruction period. Next it is time for the first homework assignment. All of my children were extremely eager to learn. I would back the car into the garage during this time for several reasons. I wanted the car on a flat surface, I wanted the car to have a view similar to a real driving experience and often the adolescent would feel more comfortable inside the garage. Have them practice shifting through the gears and operating the clutch pedal. Explain to them you want then to become good at this task before they try driving. Have them learn to shift while looking out of the windshield similar to driving. Tell them to get to know where the pressure changes where the clutch engages. After your student has gotten good at coordination the shifter and clutch pedal find an empty flat parking lot. The bigger the lot the better it is for practice. I found church parking lots and empty factory lots on weekends were the best places to practice. It’s time for the big moment we have all been waiting for. Let your student get behind the wheel. Have them depress the clutch and place the car in first gear. Explain what will happen if they let the clutch out too fast. 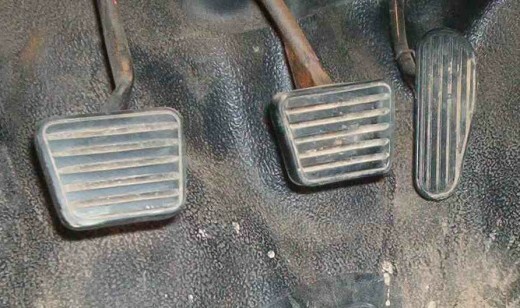 Have them ease the clutch pedal out to initiate motion and press it back in again. Have them use the brake to stop the car. Have them repeat this step over and over until they perform well. This is where you having access to the parking brake can really add to your peace of mind. Next have them shift from first to second. If the parking lot allows perhaps you may try having the student go from second to third. Be certain the student knows what to do to stop. Put in the clutch ease on the brake. I would plan on several sessions in this parking lot before you move on. The next step is to take the student to paved county road with little traffic and no children or animals in the road. Have them shift through all of the gears in the transmission. As a final step the student needs to learn to start a manual transmission on a slight incline. Show the student that many freeways have stop signs at the top of the hill where the exit ends on a main road. Explain the importance of not being able to roll back in some situations where a car has stopped too close behind them. Explain they need to be ready for this situation. Take the student to a parking lot that has an incline. Have them hold the car with the brake pedal and release the clutch until they can hear the engine labor and have them release the brake and depress the gas pedal slightly. Do this over and over again increasing the slope of the hill. Also show them how to hold the car from falling back using the parking brake and release the clutch, depress the gas while releasing the parking brake using their hand. I like to stress this as a remedy for an emergency situation as opposed to a normal way of driving. I recommend a lot of practice before an adolescent gets their license. I believe young drivers who learn to drive a manual transmission develop better driving habits since they learn to think ahead while they are driving. When your child has learned to drive your child has nearly grown up. Cherish the experience. Then wait for grand children. Do you drive a manual transmission? 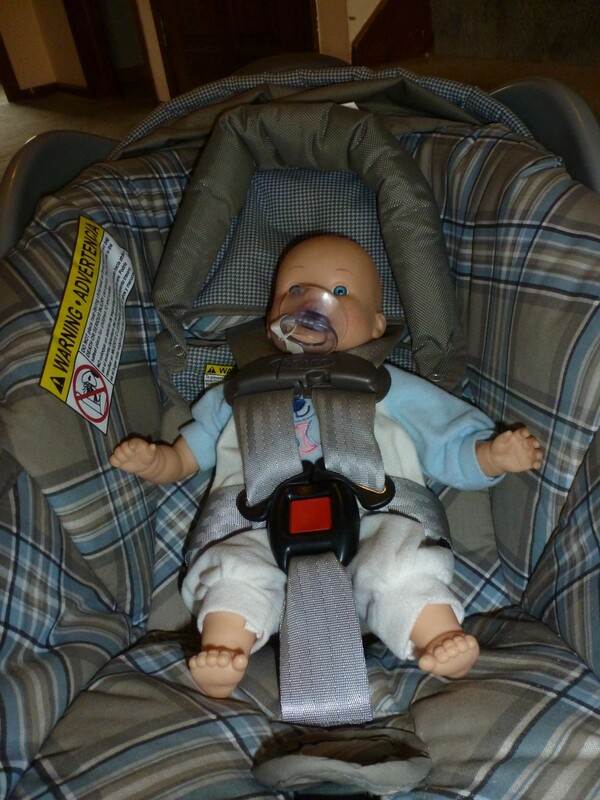 Can Cars with a Manual Transmission Stick Shift help to Protect our Kids? I am sorry to hear you dad is such a bad teacher. Thank you for sharing your story. My dad, in his infinite wisdom attempted to teach me to drive his truck that I'm going to buy off him this year. The original plan was, as soon as I got the parking lot basics down with the automatic transmission car, he was going to switch me to the standard transmission truck so I would have minimal hitches learning the difference. After changing the plan multiple times, finally to "until I'm proficient in the car", complaining I'm driving his car while he's treating my truck like crap, and being too lazy to teach me for A YEAR AND A HALF after we planned, he tried to teach me how to drive the truck today. He insisted on teaching me on our steep driveway in which the sound of the engine stalling (I'm sensitive to loud noises) got me panicked and anxious, I was frustrated, asked him to take me to an empty lot until I got the basics but he told me we weren't moving until I could manage the driveway. An hour later he gave up on me driving forward, told me to back out of the driveway and experiment on my dirt road. I sort of got it, but then football practice at the school ended and people started coming down the road, and I got anxious. He screamed at me to get out of the car so he could pull the truck over and I got so anxious I started sobbing and told him I didn't feel safe driving right now, and he told me if I didn't get back in the truck he would ground me (17 years old) for defying him. I was so anxious I could barely see through my tears as he forced me to back up my road into my driveway and then told me I was grounded if I didn't go to the grocery store with him even though I was hyperventilating and crying. Then told me I had nothing to cry about and I should just shut up and get out of the way because he had to drive to the store. BLAH. That all happened today.. sorry I really needed to rant. He got me really angry and hurt. I feel like this is something Driver's Ed should have taught me. That's mainly how I learned to drive automatic, because my dad's a horrible teacher. He has a way of talking so you can never claim he's yelling but he'll tell you a million times "You didn't push in the clutch all the way." and won't let you get frustrated for being told the same thing A MILLION TIMES because he's being NICE and not yelling! The other thing is, WHEN YOU GET IN AN INTERSECTION AND FEEL THE 'PRESSURE' OF OTHER CARS AROUND YOU/WAITING FOR YOU, SPEEDING IT UP DOESN'T HELP AT ALL, AND IN FACT MAKES IT ALL THE MORE LIKELY YOU WILL STALL. but foolishly I was sure it would keep my two kids off the road a while longer/no such luck they both took to it just as fast and with just as many pearly whites showing as I did way back when!! My dad tried with me a little bit. I never got the hang of it. Automatic was the easier car to learn, so that's what I went with.